Writing in his latest blog for PakPassion.net, former Pakistan fast-bowler Mohammad Zahid explains why Pakistan's Test batsmen are ill-equipped for the ongoing tour of South Africa, the problem of a lack of good opening batsmen for Pakistan, why Asad Shafiq needs to be replaced for the second Test, unnecessary pressure on Sarfaraz Ahmed to step down as captain, importance of Mohammad Abbas to the visitor's bowling attack and Pakistan's chances of victory in the remaining two Test matches. Let me start by saying that for me, just like for any supporter of Pakistan cricket, the loss to South Africa in the first Test match was very disappointing. We appeared to have an upper hand at times but then could not maintain the pressure that was required to win against a top-class Test side. Of course, we can look for all sorts of excuses, but the plain fact is that touring South Africa has always been a tough task for any side as the world’s No. 1 side India found to their discomfort as well and Pakistan in that sense, did not fare any better or worse in the first Test. Now, one can argue and discuss the merits of selections of a few players in the squad, but the fact is that the selectors, in their wisdom, sent the best possible squad they could find and should not be criticised on that account. The basic issue in my view is that our batsman usually play in the UAE where there is low bounce and pitches which are absolutely dead. They are used to planting their front foot without too much thought and playing the ball away from their bodies with literally their eyes closed and they usually get away with it. But on this tour, the South African conditions present a real test for the skills of our batsman and unfortunately, they have been found wanting when challenged by the opposition bowlers. Once again, this is not the easiest of tours and to be fair, the pitch at Centurion was a very tough one to play on as even the South African batsmen looked uncomfortable on it. In a sense, the result of the first Test represents the fact that Pakistan played worse than South Africa on a difficult batting surface and I don’t really think that the home-side had a clear superiority in any way. This is Test cricket and teams do lose matches but the real test is to see how they recover from such situations, so all eyes will be on the second Test in Cape Town to see if Pakistan have it in them to stage a good recovery. One of the main issues with our Test batting in recent times has been the inability of our openers to put on partnerships which can really help out the later order batsmen. Of course, there are exceptions as we saw in the second innings in the first Test where after the opening stand of 44 and then a subsequent 57 run partnership, Pakistan managed to squander a good position to be bowled out for 190. So, opening the innings is a major issue and I would think that Mickey Arthur and co have to sort out the opening conundrum as soon as possible if Pakistan are to get any results in their favour on the rest of the tour. But, once again, playing in the UAE where even ordinary batsmen can score hundreds makes everyone feel that they have found the solution to this problem, only to be exposed when playing in foreign conditions. Having said that, I am impressed with Shan Masood’s performances in the first Test, although I am a bit surprised that many people have marked him as one who is in the team based on connections. I would say that in our culture, its very normal to be labelled in this way and my view is simply that if a player is performing then nothing else really matters. The fact is that you really cannot have made it to the team and performed in South Africa without having ability and Shan has shown plenty of proof of that in the first Test. 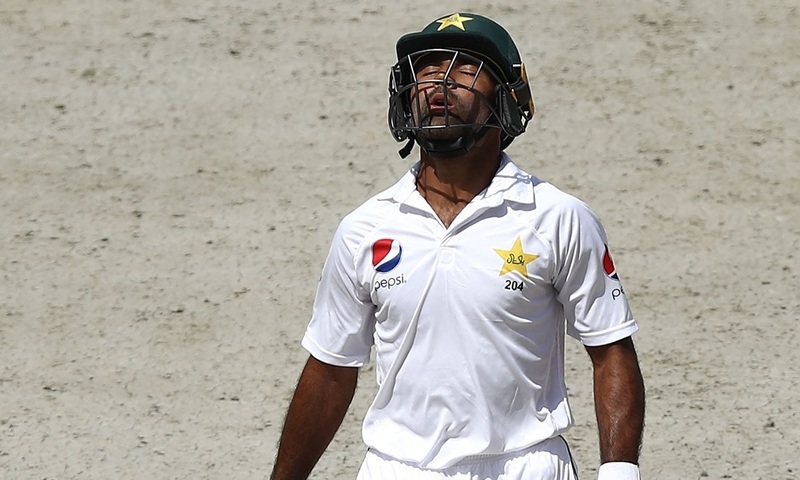 Asad Shafiq has been touted as one of the mainstays of the Pakistan Test side, especially after the retirements of Misbah-ul-Haq and Younis Khan. I feel that he has been given too many chances, but his performances have not been that consistent. After all, it’s the runs that a batsman scores which sets him apart from others and is the justification for his presence in the side. Just having good technique that is pleasing to the eye doesn’t mean you are an automatic pick for the side and that is Asad’s problem too. He will need to be replaced for the next match with a better player which could make the difference for the series. It will also serve as a reminder for Asad that he is not indispensable and may turn out to be a good move in the long-run. In comparison, Azhar Ali seems to be working hard and producing some good performances for Pakistan. There will always be some matches that he will not do well but he has and continues to show some spark. But even he has to prove a lot to his critics and I would like to see him score some runs away from UAE in challenging conditions such as those that can be found in South Africa. The Pakistani fast-bowlers bowled well and did provide some hope to the side. But I feel that the absence of Mohammad Abbas in the first Test was clearly felt by Pakistan. His immaculate line and length could well have ensured a different result for Pakistan but that is all history now. There was also some debate about the inclusion of Yasir Shah in the playing eleven and I disagree with those who feel that he had no place in the side as sometimes a spinner is needed for variety or simply for giving a break to the fast-bowlers. And if that spinner can be someone of the calibre of Yasir Shah then you really can’t go wrong, even on a green pitch of the type we saw at Centurion. I feel that too much unnecessary pressure is being placed on Pakistan Test captain Sarfaraz Ahmed and calls for his replacement mid-tour are not needed. Yes, there are question marks around his performances but then players can have good and bad matches which is par for the course. What that does not mean is that there should be no pressure on Sarfaraz to perform better. Players must feel that there is a sword hanging on their heads which makes them less complacent and also makes them work harder to maintain their place in the side. Whilst I am encouraged by the fact that Mohammad Abbas is likely to return for the rest of the series, it is with a heavy heart that I say that the chances of a positive Test series result for Pakistan in South Africa are looking rather weak. We pride ourselves on having a good bowling attack but to be honest, the bowling has not clicked to the extent I thought it would. The 149-run target that South Africa were presented with in the first Test was not an easy one, yet they were able to achieve it with the loss of four wickets against our bowling attack which is disappointing. One hopes and prays that we can perform better in the next two matches but regardless of the outcome of the series, it is important that changes be made to the Pakistan Test side based on lessons learnt from this tour. some hits and misses in this write up especially about the bit where the bowling was supposedly weak in the second innings. Totally agree. This guy hardly does anything at all. Then again we don't have an able replacement at all. Completely agree on the assessment of Asad Shafiq. Abbas would have been a difference maker. There is no doubt that he is a better Test bowler than all the three quicks who played the first test. I don't think Abbas would have made a difference, I've said this before, we lost because of our batting, not our bowling, and I guess one of Shaheen/Amir wouldn't have played if Abbas was fit and they both took plenty of wickets. The pressure is building on Shafiq, his time might be up now. Mohammad Zahid is a bowler at heart! so for him to point to Abbas as the difference is almost expected but the truth is our batting does not deserve such good bowlers. Yes so true. Our batsmen become complacent as soon as their place is secure. They need to be kept on their toes. A rotation policy can help in this regard. You can assess the credibility of ex-players turned analysts by how they view Asad Shafiq who has been the darling of the Pakistan cricket establishment for many years. Nearly all of them blush over his "technique" despite it being exposed by inswinging deliveries time and again and rarely question why someone who fails to score in crunch situations is able to play 60+ Tests in a row without being dropped once ! So good on Mohammad Zahid for telling it like it is. Asad's batting has really gone downhill. I mean to drop your average by 6 runs in the space of 2 years is shocking. He needs dropping and then let's see if he has the mental toughness to make a comeback. I wonder how much Azhar's average has dropped by. Technique is not everything. I would rather have a player who is more mentally strong. We keep expecting our bowling the keep bailing out the batting. It can't always happen no matter how string our bowling attack is. The batting hardly ever saves us or does anything at all. Its amazing that despite the drop which was pretty constant over the lasf 2-3 years the team management kept backing him. The whole think tank needs an overhaul. Because Haris is out for the 2nd test, Asad will get another chance (probably). Precisely - which is why I back Fakhar to do more in his test career. Not the best technically against pace but his mental strength will put him in good stead. He will average low 40s at the very least BUT with a far better strike rate with more match winning knocks and clutch runs. Asad's mediocre technique is always overrated for some reason, even though he is a poor man's Ian Bell at best. Another day another failure for Asad Shafeeq. A typtical Asad Shafeeq innings, Looked good at the start but once again gave it away. He doesn't seem to have it in him to play a pressure game and it's becoming more and more evident with every failure. Last edited by shaaik; 3rd January 2019 at 15:33. If he fails in 2nd innings he most likely will be dropped, so that means a good score is due to save his place! Asad Shafiq the selfish senior should be dropped but I'm more concerned with ex-players not addressing the root cause. Zahid or other former players stay away from criticising the real issue and that is Inzamam who has supported these seniors. It’s really odd. There’s always a couple of players in our line up that don’t get dropped no matter how bad they get. Right now Imam seems to be in that list. He has played some many tests in the last year and he still hasn’t been dropped. I’m sure he’ll be dropped for the next series but he’s getting an unusually long run. During the Misbah/Younis era. Asad and Azhar never really got dropped and I think there were one or two instances where they should’ve been. This would’ve allowed them to bring in some competition which would’ve motivated these two. He just scored a useless 80 in 2nd inning, team lost anyway, now he is good for another two years based on that. Today's shot was a basic error - something that batsmen are taught when they start playing cricket. Yet again shows that 30 something averaging players in FC will not do well consistently in international cricket. The reason I feel Imam will struggle. He needs some good seasons in FC to improve his game. Think its called telescope bat - when you leave your bat up like a telescope! I doubt he will be dropped his useless 100 vs NZ and 88 vs SA will have impressed sarfraz and Inzi.